Origin South Asia, but now cultivated on most continents. 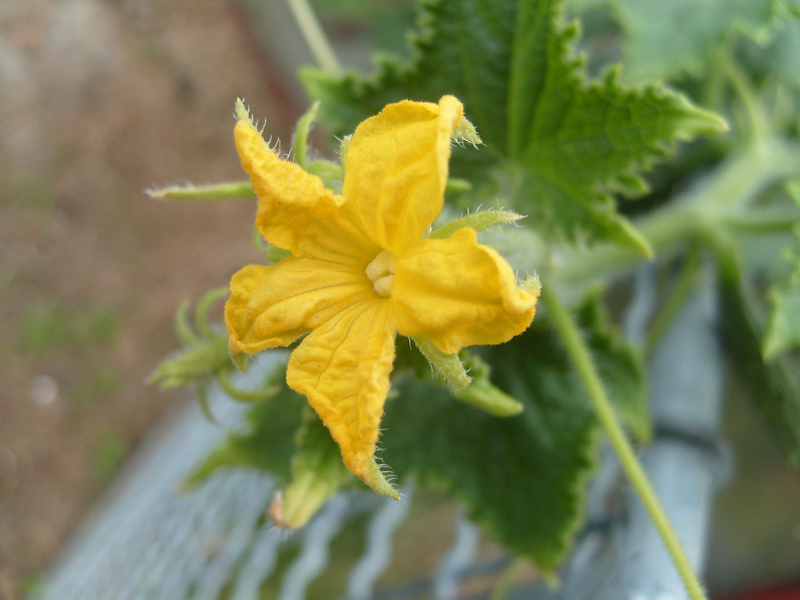 Cucumber (Cucumis sativus, family Cucurbitaceae) is a vine like flowering plant originally from South Asia. It is a large, sprawling annual plant with alternate, hairy leaves and yellow flowers. 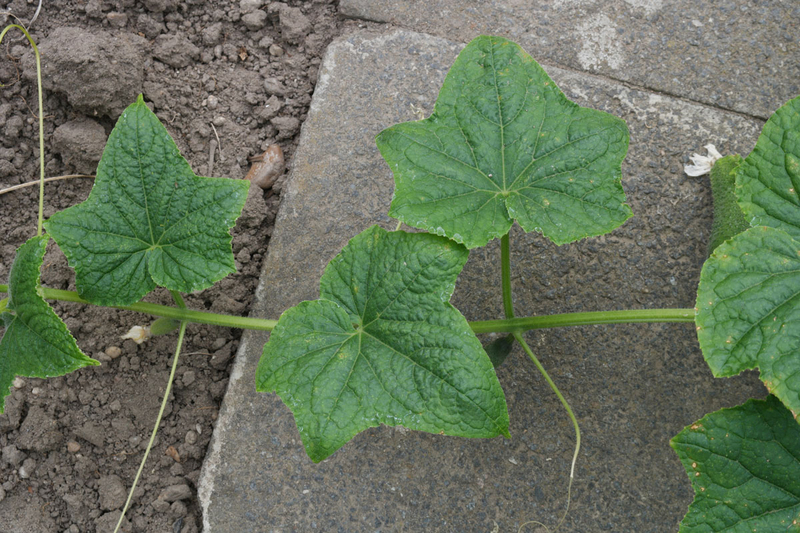 It is grown for its edible fruit, also known as Cucumber. The fruit has smooth skin in green, yellow or whitish with many seeds. These cultivars produce fruit within 50-60 days of planting the crop. It can be cooked as well as eaten raw. 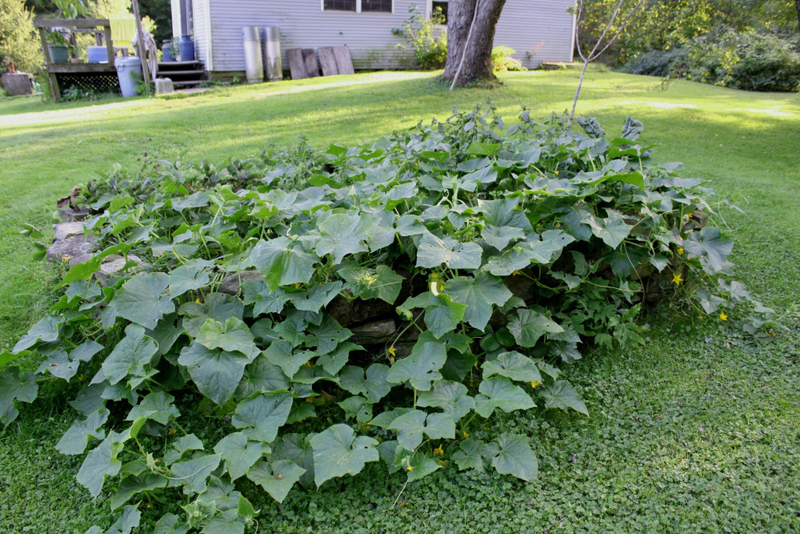 The plant typically grows up to 16.4 ft. in length and has four to five angled stem. An average common Cucumber weighs approximately 268 grams. Cucumber is also known as Chinese cucumber, Gherkin and Cucumber. 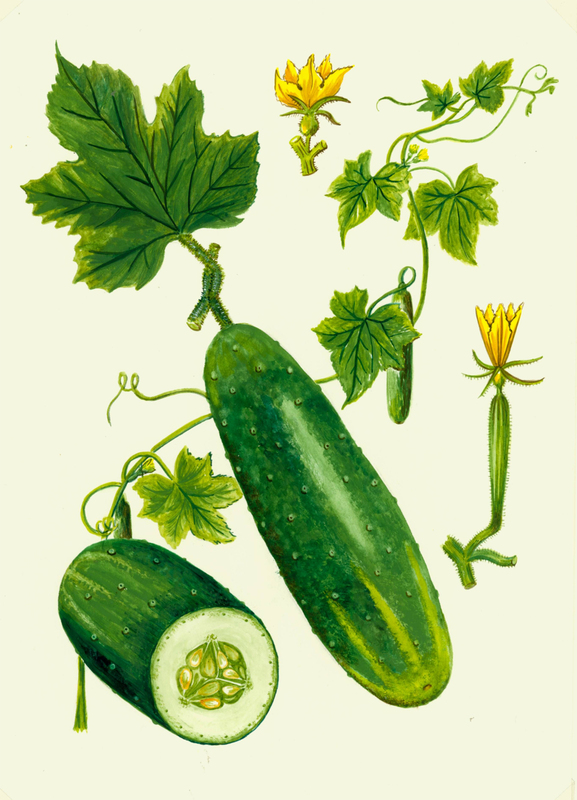 The three varieties of Cucumber are slicing, pickling and burpless. Cucumber was originated from South Asia, but now it is cultivated on most of the continents. The Cucumber was cultivated in Western Asia for at least 3,000 years and then introduced by Romans to other parts of Europe. The evidence shows that Cucumber was cultivated in ninth century in France, fourteenth century in England and by mid-sixteenth century in North America. 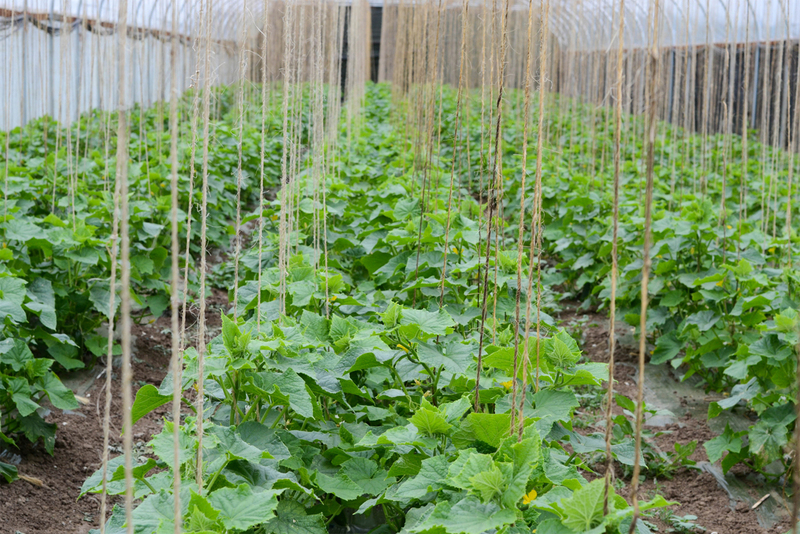 Cucumber is an annual plant with long, weak, trailing and climbing stems which are four to five angled and up to 5 m long. The plants are vines that grow up to 5 m (16.4 ft.) long. The leaves are hairy and alternate. The flowers are yellow having 4 cm (1.6 in) as a diameter. The plant yields flowers during summer and early autumn. 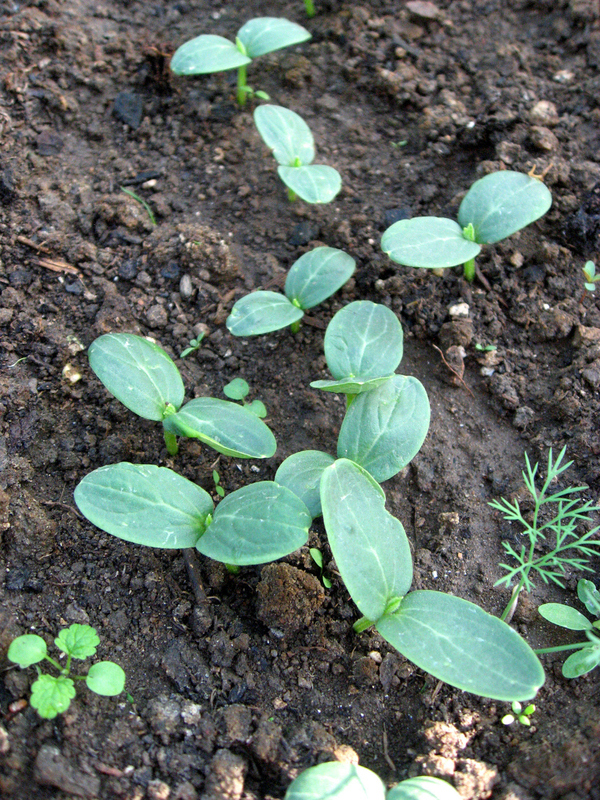 The Cucumber plant thrives well in loamy soils. The plant completes its lifecycle in one year. The plant bears globose to cylindrical fruit which is 30 cm long. The fruit is white, yellow or green in color. The inside flesh is pale green which possess many edible white seeds. The seeds are ovate to oblong with the size of 8–10 mm × 3–5 mm. One cup (104 grams) of Cucumber provides 16 calorie, 0.68 gram of protein, 0.11 gram of fat, 3.78 gram of carbohydrate and 0.5 gram of dietary fiber. The same amount provides 14.25% of Vitamin K, 5.38% of Vitamin B5, 4.78% of Copper, 3.63% of Iron and 3.57% of Phosphorus. Cucumber is rich in water content which helps to hydrate the body. It is also low in calories. Cucumber normalizes the blood pressure during summer. 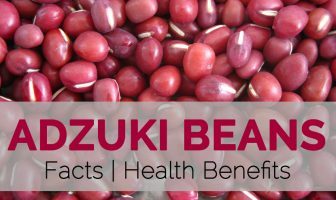 It is rich in nutrient content which prevents from various health problems such as acidity, asthma, arthritis, gout and eczema. 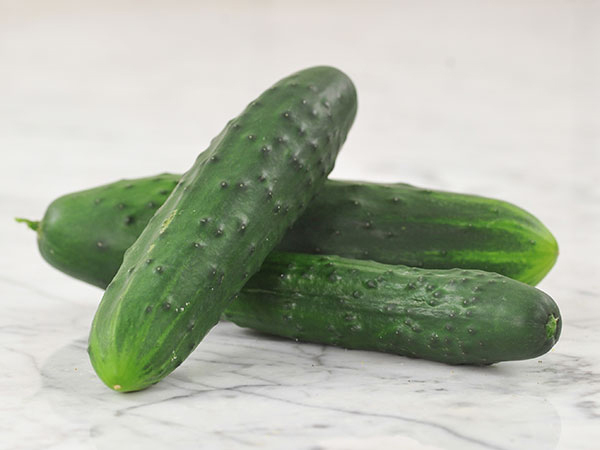 Cucumber possess high amount of silica that helps to develop the healthy and strong connective tissues in the ligaments, cartilage, tendons, muscles and bone. The high presence of silica provides a brighter and healthier skin. Cucumber is high in water content which helps to hydrate the body. It is also used to treat various skin ailments such as swelling and sunburn. The compound such as caffeic acid and ascorbic acid helps to avoid water loss from the body. The studies show that the high intake of potassium, magnesium and fiber helps to lower the blood pressure and maintains it to normal levels. The intake of the diet rich in these complexes with the diet such as low fat diary items, seafood, lean meat and poultry reduce the systolic pressure by 5.5 points and diastolic pressure by 3.0 points. 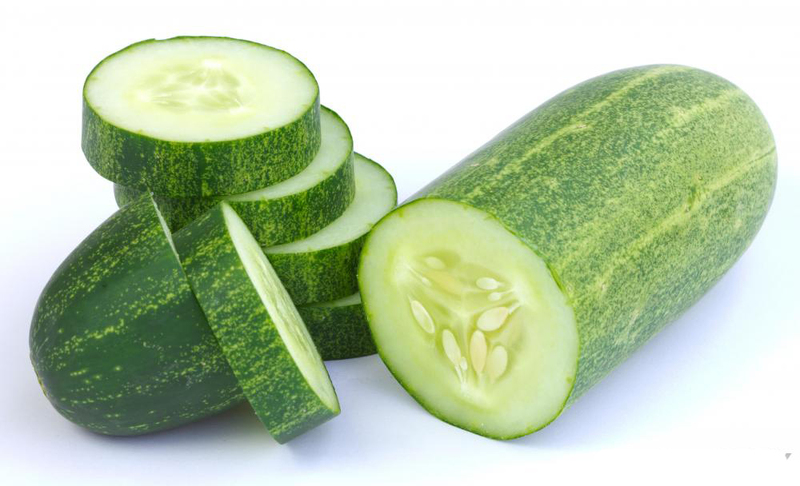 The hormone found in Cucumber is essential for the production of insulin by the beta cells. Cucumber has zero Glycemic Index. The carbohydrates raise the level of glucose but the carbohydrates in Cucumber could be digested by the diabetic patients easily. The intake of Cucumber helps to maintain the glucose levels. Cucumber eliminates the toxins and waste from the body. It also effectively treats arthritis as it clears the uric acid. It assists in the secretion of urine. It also enhances the function of liver, kidney, urinary bladder and pancreatic functions. It is effective for controlling diabetic mellitus and blood pressure. The daily intake of Cucumber juice helps to treat eczema and gout. The addition of Cucumber to the diet prevent from stomach and lung problems. It enhances the flexibility of muscles, promote blood circulation and soothe nerves. Cucumber is rich in minerals which prevent the nail split on the toes and fingers. Vitamin K in Cucumber prevent from arteries calcification that leads to heart attacks. It prevents deposit of hard and harmful plaque. Vitamin K is an essential nutrient that reduces inflammation and protects cells. The intake of Vitamin K is essential to maintain healthy blood pressure and reduce the risk of cardiac arrest. Vitamin K assists to regulate the hormone function that helps to lower the PMS cramps and menstrual pains. It is helpful for excessive bleeding and provides relief from PMS symptoms. The excessive bleeding is the cause for more pain and cramps during menstrual cycle. The studies shows that the deficiency of Vitamin K worse these symptoms. Vitamin K reduces the chances of colon, prostate, nasal, stomach and oral cancer. The study shows that the high Vitamin K helps to stabilize liver cancer and enhance their liver function. The diet rich in Vitamin K reduces the chances of cancer and cardiovascular disease. Vitamin K speeds up the healing of bruising and bleeding of cuts. The deficiency of Vitamin K results to the Haemorrhagic disease of newborns where the blood clotting does not take place properly. The study shows that newborns should be given Vitamin K injection at birth in order to eliminate HDN. The studies show that an adequate intake of Vitamin K can prevent osteoporosis in people. Vitamin K is essential to use calcium in order to build bones. Vitamin K can promote bone health and lower the chances of bone fractures. The studies reported that Vitamin K increase the mineral density of bones in osteoporotic patients along with lowering the fracture risk. Vitamin K has the positive effect on the calcium balance which is vital for metabolism of bones. The fruit is used to treat skin blemishes, heat rash, burns, scalds, sores, wounds and also to soften, moisturize and whiten skin. In Indo-China, immature fruits are cooked which is used to treat dysentery. The seed is used as taeniacide. The juice which is extracted from leaves is helpful to treat dyspepsia. Cucumbers are used in India to relieve headaches. It may be allergic to oral cavity and might experience symptom such as swelling and itchiness. 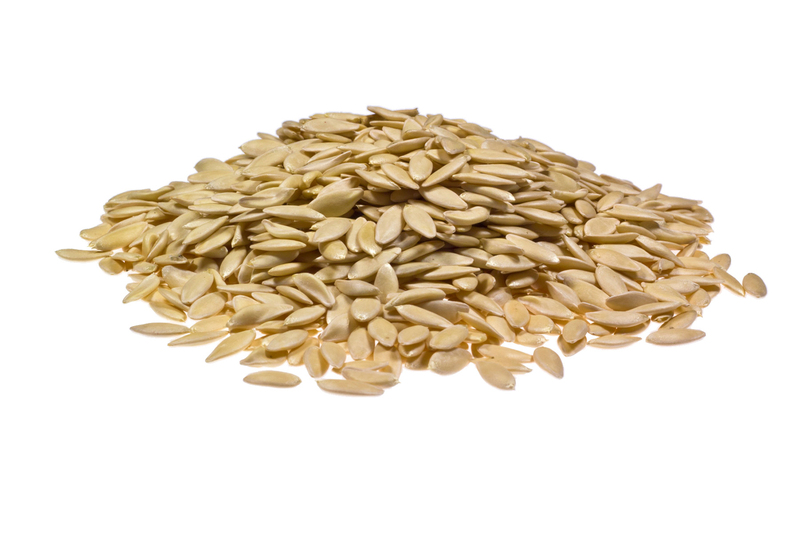 It contains cucurbitacin which is a compound that results indigestion and gastritis problems. The excess consumption of Cucumber causes toxicity and also results baldness. The consumption of inorganic Cucumber may cause serious health ailments due to the harmful pesticides. The synthetic wax is used to protect from the bruising that results to serious health ailments. Cucumbers belong to the same family of squashes, melons, luffas and watermelons. It possesses thin tendrils, large leaves and elongated, green fruit which have tapered ends. It bears fruits within 50-60 days after being planted. The pollination takes place by the bees. Native Originated from South Asia, but now cultivated on most continents. Edible parts of the plants Young fruits: The immature fruits are consumed as salads. It is also served with salads. It is also used to made chutneys. The larger and ripe fruits are added in soups and stews. Leafy shoots: The young shoots are eaten as greens. Seeds: The oil extracted from seeds is used in salad dressing. Calories in 1cup (104 gm) 16 Kcal. It is consumed raw or in the form of salads. Cucumbers are also used to make pickles. The young stems, leaves and seeds are used in Asian cuisine. Cucumbers contain about 95% water which makes it cooling and hydrating food. 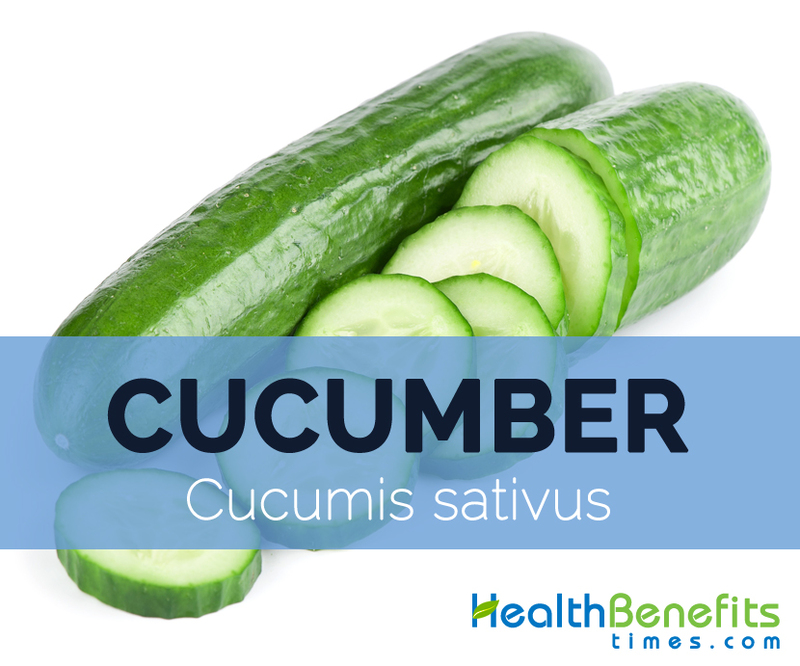 Cucumbers are low on saturated fats and calories. The slice of Cucumber eliminates the bacteria that cause bad breath in 30 seconds. The plant yields 25 to 125 fruits. China produces about 40 million tons of Cucumber which makes it the greatest manufacturer. Calories 16 Kcal. Calories from Fat 0.99 Kcal. Calories 14 Kcal. Calories from Fat 1.71 Kcal.